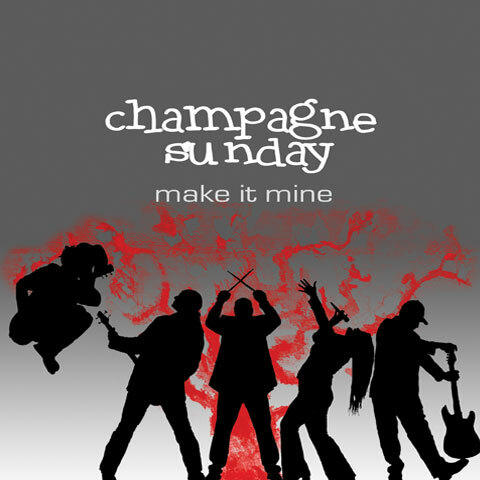 Champagne Sunday’s debut album, Make It Mine, captures some of the best and most enduring music of their career at a time when it was fresh from the tap; inexperienced and yet unweathered by years of struggle, for better or worse. 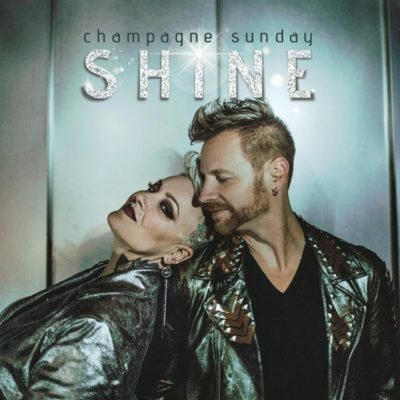 The songs from that album continue to consistently hold their own among the ranks of later, more developed songs as crowd favorites. The band had formed in Ventura, CA, in May of 2005 as an unnamed mash-together of the remnants of two bands: Jessi’s Kitchen (or the Jessi Reems-Terrell Experience) and my (Jared’s) band, Stargun Holloway. Jessi brought Thom Thomas from her previous band, and Jared brought in guitarist Tom Stanton and drummer Bryon Sommers from his. After a few weeks of rehearsals, we were playing shows as a five-piece by early Summer. Because we had so much original material from the very beginning, requests for recorded albums came almost immediately. However, we were skipping along from one drummer to the next in rapid succession, struggling to find a solid fit. Despite being a big catalyst in bringing the two bands together, Bryon only lasted on drums with us a few months before leaving to be replaced by Bart Yarnold, who lasted until October, when he was replaced by Trey O’Toole, who lasted until late November. During that time, with Yarnold at the drums, we released a shoddy self-recorded collection of five or six songs, dubbed “The Living Room Sessions”, but it was quickly evident that we needed a professional studio recording in order to be taken seriously (at least, more professional than what we could do at the time). My friend and former bandmate, J.P. Hesser, owned and operated Castaway 7 Studios, a local studio in town, and agreed to record us to settle up some old debts, so we booked some studio time with him in early December. During rehearsals for those sessions, we fired our drummer, Trey, a week before we were scheduled to record. Being the stalwart and delightfully inexperienced spirits that we were, we muscled ahead as an electric four-piece without a drummer (even playing shows that way, a foreshadowing of our future career), thinking we could add one into the recordings later. We tracked somewhere in the vicinity of twenty songs over the next few sessions (some of the songs were nearly fully completed, minus the drums) before realizing that it would be better to just hold off until we got a steady drummer to lay down the rhythm tracks first. In early January, drummer Art Tipp was hired and immediately began rehearsing with us. These rehearsals and ensuing gigs were awesome. We all threw in our ideas, we all fought for them, we argued, we fine-tuned and paid attention to details, we created things greater than what they were when we began them. Looking back, I feel like this period really formed a foundation for how we approach new ideas to this day. It was a fun time. Well not always, but that’s how I like to remember it. Anyway, now that the lineup was set, we were faced with making the album. Despite our already eclectic mix of songs, we felt that the album would be more palatable to audiences if we maintained a somewhat cohesive feel throughout (a theory that we later hurled out the window, spat on, set on fire, and buried on the next album). Songs like Music Box, Stronger, Bound, and Tiny Girl, though we were already playing them at shows, were intentionally left out because we thought they were too much on the fringe of a more cohesive sound. After only a few weeks of rehearsals with Art, we dove back into the studio in February of ’06 to re-track our work, this time more focused on a pared-down selection of songs. Overall, as a representation of where we were at that time, it’s fairly accurate. We were still green in the studio, still trying to figure out who we were as a band, and still thinking we had to fit into some kind of mold in order to be successful. However, through all of that, we showed determination against a lot of inner turmoil that would have shaken apart most other groups. We stuck by our philosophies (or what we knew of them), didn’t let the world get us down, and charged on confidently in a blaze of blind ambition. Because of this, bassist Thom Thomas’s wife suggested we name the album after one of her favorite songs of ours that seemed to sum up the whole experience rather neatly: “Make It Mine”.